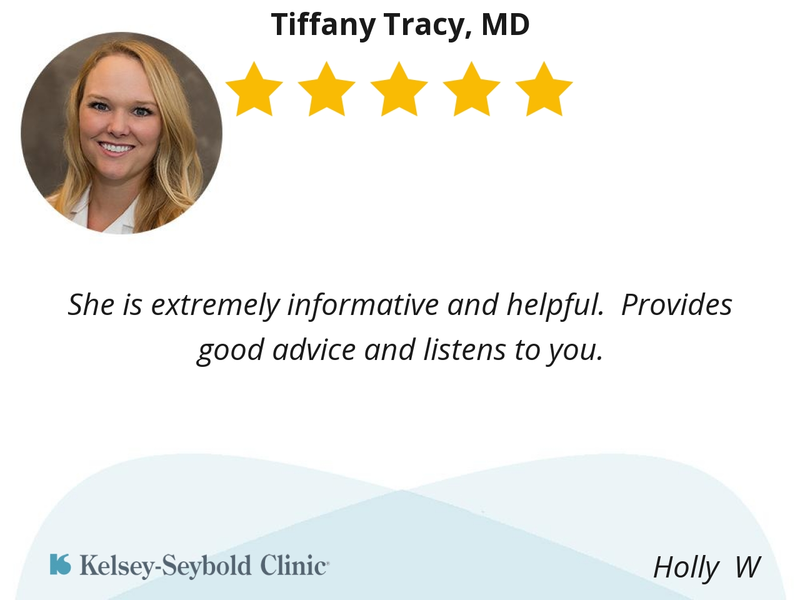 A specialist in OBGYN care, Dr. Tracy's clinical interests include general obstetrics, breastfeeding, minimally invasive gynecologic surgery, and in-office procedures. 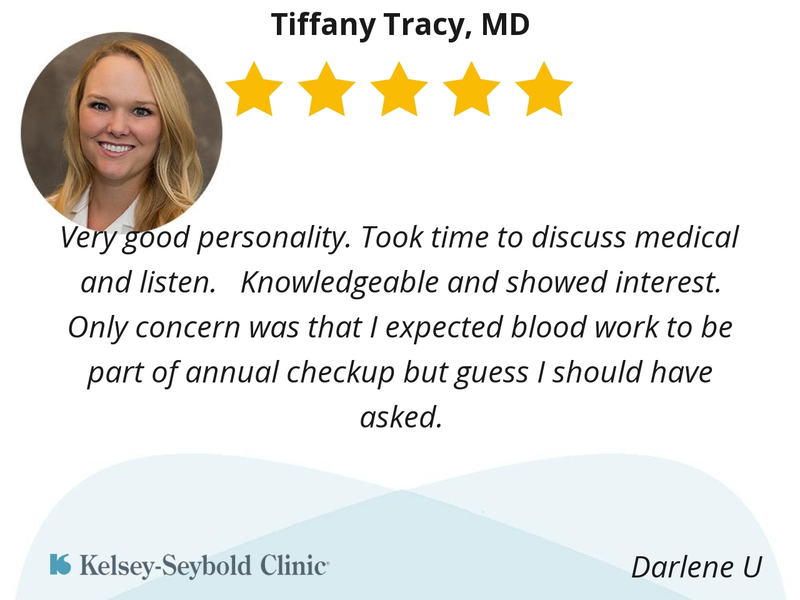 Dr Tracy is so nice, professional and knowledgeable. She truly cared for my needs since day one of meeting her. She has seen my baby since it was the size of a grain of rice all the way up until birth! She was nice and polite. 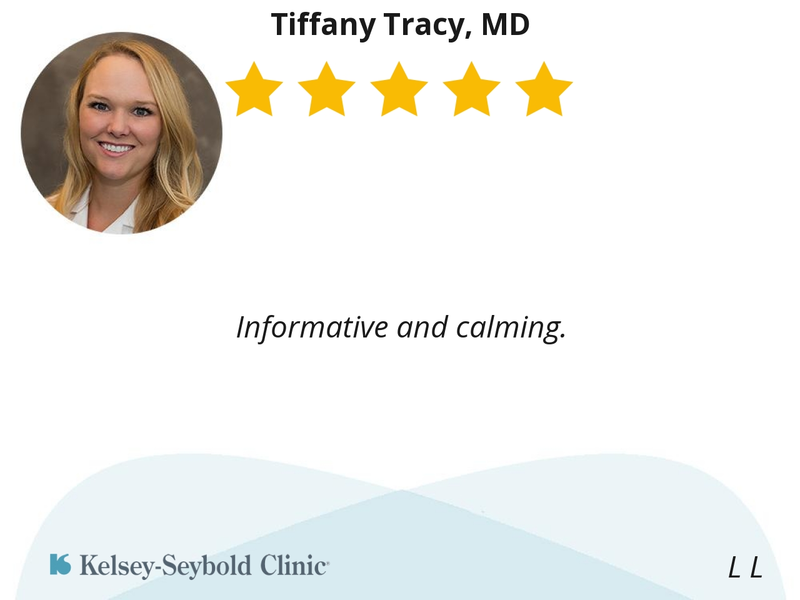 Great bedside manner, knowledgeable in her field and she answered my questions and concerns in an easy and thorough way. She was very informative and gave me some suggestions for dealing with the hot flashes. She is very personable. She was very nice, and made sure I understood everything I needed to know. Warm and comforting personality....explains issues thoroughly! Dr Tracy was amazing. She listened to my concerns and was very nice, knowledgeable, and professional! She is caring from the beginning. She takes her time to make Sure you understand what is going to be done in your office visit. She’s really great about keeping things professional and friendly. The Doctor was very friendly & professional. She spent plenty of time answering my questions & discussing various treatment options. I did not feel rushed. I felt she truly cared about my treatment. She listened to my concerns and offered every possible option available to me. She was very patient and explained everything to me. 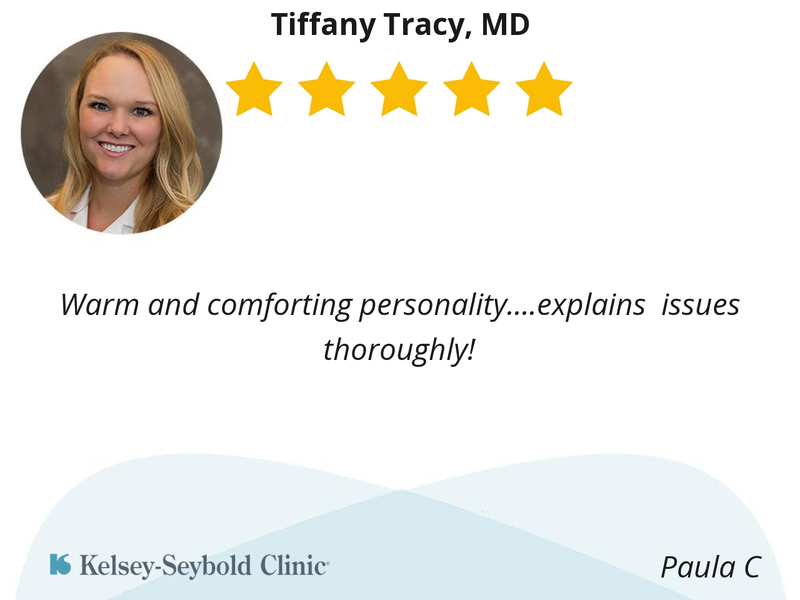 Upon arrival I was not in good spirits because I had been going to MD Anderson and was denied on my last visit because Kelsey can provide the same services. Since cancer is so common in my family I had worked hard to get MD Anderson services. Since, I’m forced to return she made it an easier process for me. She takes the time with me that I need and doesn’t act like she is rushing. She seems like she genuinely cares and wants to do the best for her patients. Very good personality. Took time to discuss medical and listen. Knowledgeable and showed interest. Only concern was that I expected blood work to be part of annual checkup but guess I should have asked. Loved her!! Very informative, felt very comfortable with her, she answers all the questions! Nurses are wonderful too! She was friendly and knowledgeable. I like that she's fast and to the point while at the same time explaining clearly what is going on. I feel comfortable with her and completely trust her knowledge and experience. She was very thorough and polite. I felt comfortable and not rushed. She is extremely informative and helpful. Provides good advice and listens to you.